Now we are in judging season for the national Tidy Towns Competition. This begins every year on 1st June and continues until the end of August. We have no idea when the adjudicators will arrive, so we need to be prepared every day. Please lend us your support during the coming months. Now is the time to get the window boxes and hanging baskets out. Make sure you keep them watered. Stephen from Wisteria is offering a deal which includes a watering service – check it out. Some premises in the town could do with a touch of paint. Check yours out and see if there is anything you can do to improve the presentation of your business. Ensure that the windows are clean and free of posters. A well-presented business encourages customers and certainly helps us to gain more marks in the competition. If there are any weeds near your home or business, in the kerb or at the base of buildings, please remove them. Grass verges in front of houses need to be neat and tidy. No litter is acceptable to the adjudicators. Let’s all work together to show what a great town we have to live, work and grow up in. 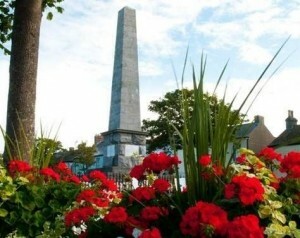 Contact details for Skerries Tidy Towns are on their page here. 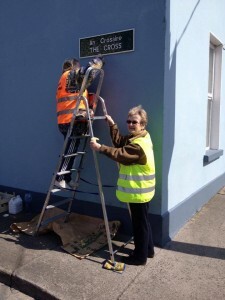 You could, of course, also join one of the regular work parties which meet every Monday evening at the old fire station on Quay Street at 7 p.m. until further notice. 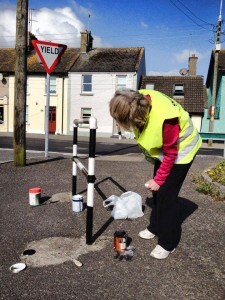 This entry was posted in News, Tidy Towns by SMcK. Bookmark the permalink.